KELLEY, William Darrah, a Representative from Pennsylvania; born in Philadelphia, Pa., April 12, 1814; pursued classical studies; apprentice in a jewelry establishment 1828-1835; moved to Boston, Mass, in 1835 and was engaged as a journeyman jeweler; returned to Philadelphia in 1840; studied law; was admitted to the bar in 1841 and practiced in Philadelphia, Pa.; deputy prosecuting attorney for the city and county of Philadelphia in 1845 and 1846; judge of the court of common pleas for Philadelphia 1846-1856; unsuccessful candidate for election in 1856 to the Thirty-fifth Congress; delegate to the Republican National Convention in 1860; elected as a Republican to the Thirty-seventh and to the fourteen succeeding Congresses and served from March 4, 1861, until his death in Washington, D.C., January 9, 1890; chairman, Committee on Coinage, Weights, and Measures (Fortieth, Forty-first, and Forty-second Congresses), Committee on Ways and Means (Forty-seventh Congress), Committee on Manufactures (Fifty-first Congress); interment in Laurel Hill Cemetery, Philadelphia, Pa.
Papers: 1837-1903, ca. 600 items. Collection includes letters from Kelley to his family and from political figures and businessmen. Papers: In the papers of the Kelley family, 1681-1936, ca. 1,800 items. Collection includes correspondence, photographs, and documents of the Kelley family. There are letters to William D. Kelley from Andrew Carnegie, Rutherford B. Hayes, Lajos Kossuth, Abraham Lincoln, Thaddeus Stevens, and Gideon Welles. Brown, Ira V. "William D. Kelley and Radical Reconstruction." Pennsylvania Magazine of History and Biography 85 (July 1961): 316-29. Kelley, William Darrah. An address delivered at the Democratic town meeting. [Philadelphia]: Pub. by request of the meeting, printed at No. 9 South Third street, 1841. ------. An address delivered by Hon. William D. Kelley. [Philadelphia]: Philadelphia Morning Times, . ------. An address delivered by Hon, William D. Kelley, at Girard Avenue, above Eleventh st., on October 3rd, 1856. [Philadelphia]: Philadelphia Morning Times, . ------. Closing speech of Hon. W. D. Kelley. [Philadelphia: Collins printer, 1864]. ------. Conversation with Horatio Seymour on the national debt and taxes. [Philadelphia: King & Baird, printers, 1868]. ------. Convertitle currency bonds will give elasticity to our currency. Washington: Government Printing Office, 1874. ------. Currency and banking. Washington: Government Printing Office, 1874. ------. The dangers and duties of the hour; an address delivered at Concert Hall. Philadelphia: March 15, 1866. Washington: Chronicle Book and Job Print, 1866. ------. The enforcement of the Fourteenth amendment essential to the prosperity of the South. [Washington: Printed at the Congressional Globe Office, 1871]. ------. The equality of all men before the law claimed and defended. Boston: Press of G. C. Rand & Avery, 1865. ------. Farmers, mechanics, and laborers protection. Washington: F. & J. Rives & G. A. Bailey, 1870. ------. The finances. Philadelphia: H. C. Baird, 1873. ------. Financial mismanagement is costly. Washington: [Government Printing Office], 1879. ------. Government of insurrectionary states. [Washington: Printed at the Congressional Globe Office, 1867]. ------. Hawaiian treaty. Washington: [Government Printing Office], 1876. ------. If we would perpetuate the republic we must defend and protect the interests of its laborers. Washington: [Government Printing Office], 1884. ------. Interconvertible bonds will preclude the possibility of lock-up of currency. Washington: Government Printing Office, 1874. ------. Internal revenue. Washington: F. & J. Rives & G. A. Bailey, 1868. ------. Judge Kelley on the crisis. The present situation and how it should be met. A temporary loan the remedy. Impossibility of specie payments. Philadelphia: H. C. Baird, 1874. ------. Judge Kelley's letter. [Philadelphia: H. C. Baird, 1875]. ------. Letter of Hon. Wm. D. Kelley to the citizens of the Fourth Congressional District of Pennsylvania. Philadelphia: H. C. Baird & Co., 1875. ------. Lincoln and Stanton; a study of the war administration of 1861 and 1862. New York, London: G. P. Putnam's Sons, 1885. ------. Merchantable commodities cannot be standards of value. Washington: [Government Printing Office], 1876. ------. National centennial celebration and exposition. Washington: F. & J. Rives & G. A. Bailey, 1871. ------. The practice of justice our only security for the future. Washington: N.p., 1865. ------. Protective duties benefit farmers by creating a home market for agricultural productions. [Washington: Government Printing Office, 1880]. ------. A protest against the re-imposition of war-taxes. Washington: Government Printing Office, 1875. ------. Reply of Hon. William D. Kelley to George Northrop, Esq. [Philadelphia: Collins, printer, 1864]. ------. Reply to Hon. James A. Garfield, of Ohio. Washington: [Government Printing Office], 1878. ------. Report of the special commissioner of the revenue. Washington: F. & J. Rives & G. A. Bailey, printers, 1869. ------. Some reasons for the abolition of the internal-tax system. Washington: [Government Printing Office], 1884. ------. Speech of Hon. William D. Kelley, of Pennsylvania on protection to American labor. Washington: Printed at the Congressional Globe Office, 1866. ------. Speech of Hon. William D. Kelley, of Pennsylvania, on the extinguishment of the public debt: Delivered in the House of Representatives, January 3, 1867. Washington: Printed at the Congressional Globe Office, 1867. ------. Speech of Hon. Win. D. Kelley in the Northrop-Kelley debate, at Spring Garden Institute, Wednesday, September 28. [Philadelphia: Collins, printer, 1864]. ------. Speeches, addresses and letters on industrial and financial questions. Philadelphia: H. C. Baird, 1872. ------. United States vs. William Smith. Piracy. Speech of Hon. William D. Kelley. [Philadelphia: N.p., 1861]. ------. The way to restore the revenues. Speech of Hon. 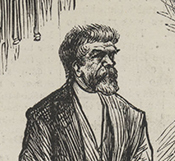 William D. Kelley, of Pennsylvania, in the House of Representatives, March 7, 1874. Washington: Government Printing Office, 1874. ------. The Wood tariff bill. Washington: [Government Printing Office], 1878. Nicklas, Floyd William. "William Kelley: The Congressional Years, 1861-1890." Ph.D. diss., Northern Illinois University, 1983.